You've all heard of Big Ben, but how about Little Ben? The smaller Ben is situated in Victoria, where the Vauxhall Bridge Road meets Victoria Street in Westminster, effectively at the opposite end of Victoria Street to it's larger brother. 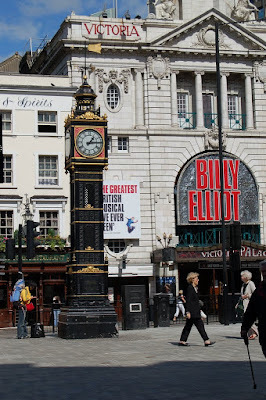 The clock was first erected in 1892, then removed in 1964, and subsequently re-erected by Westminster City Council in 1981, with the help of a french oil company, as "a gesture of Franco-British friendship". For more information, visit http://en.wikipedia.org/wiki/Little_Ben.